On Monday Oct 12 and Tuesday Oct 13 the Jewish Museum and Berg Orchestra will be co-hosting the fifth Cinegogue screening in which silent films are presented with live orchestral music. 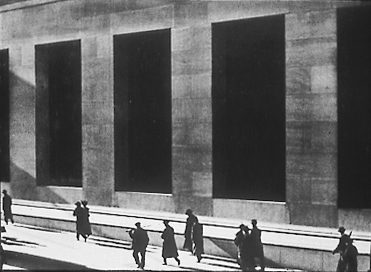 The films will be the works of Man Ray, Ralph Steiner and Paul Strand. Like Man Ray, both Steiner and Strand were well known for their photography along with their avant-garde filmmaking. The films will be accompanied by music composed by four young Czech and one Polish composer Eliška Cílková, Martin Klusák, Jan Ryant Dřízal, Šimon Voseček, Jacek Sotomski.